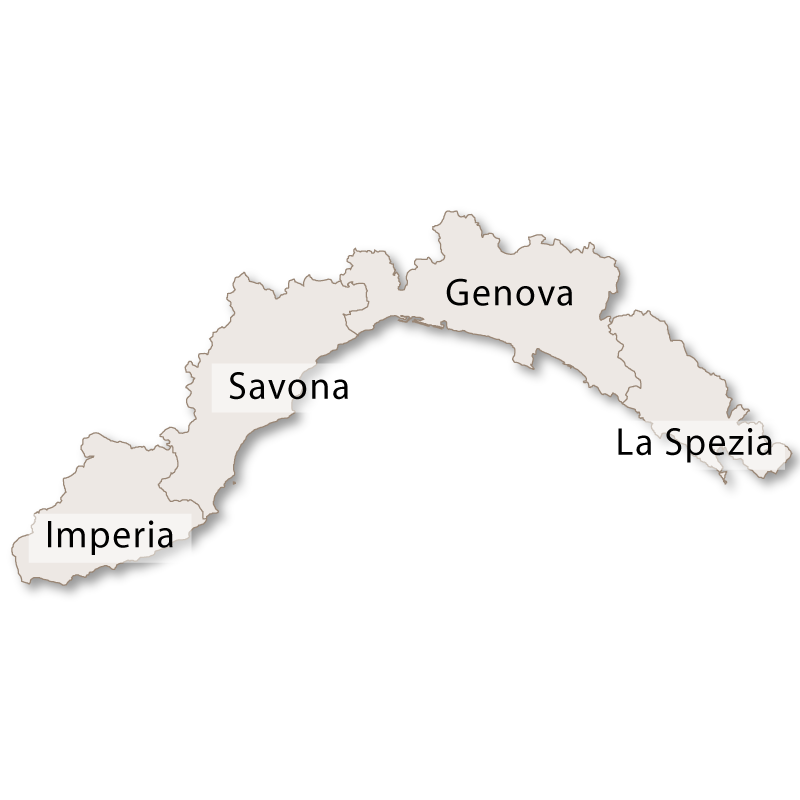 Imperia is Bordered by the province of Savona to the east, France to the west, the region of Piedmont to the north and the Ligurian Sea to the south. It is a mountainous province situated between the Maritime Alps and the sea. Some of the peaks on the French border are well over 2000 metres with Monte Saccarello being the highest at 2,200 metres. From the mountains the terrain gradually turns hilly with ranges of hills running north to south stretching down to the coast. The coast consists of rocky headlands and bays with pebbly beaches. 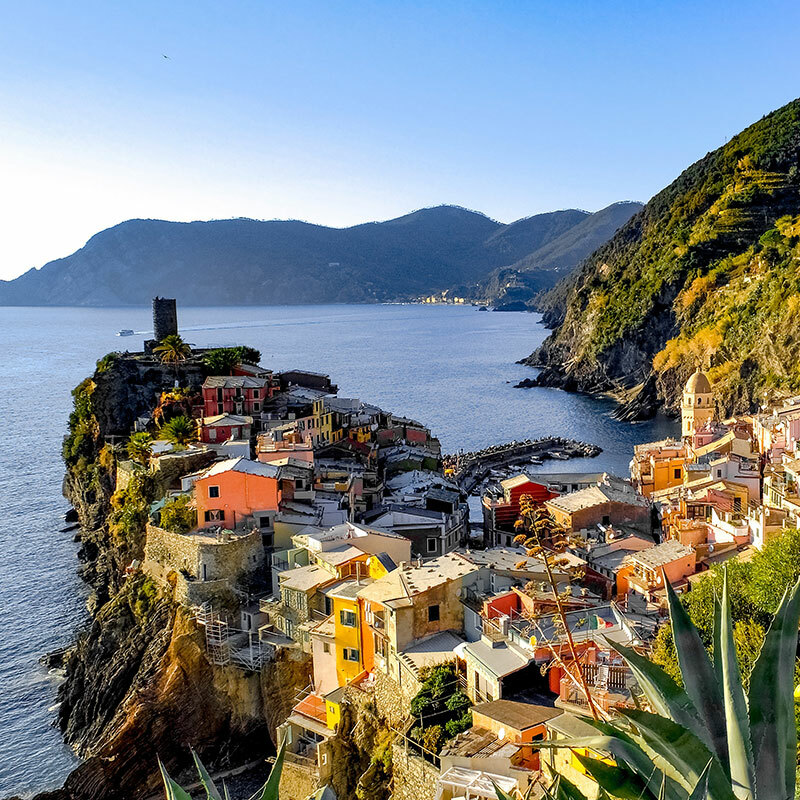 With a mild climate, pretty bays and a backdrop of green hills and vibrant flowers this coastline is called Riviera dei Fiori which means Riviera of Flowers. Running on from the French Riviera this stretch of coast was very popular in the 19th century with wealthy families from Europe, particually Great Britain. Strongly influenced by the Alps and the Mediterranean Sea this province offers diversity not only geographically but also gastronomically. It is famous for its breads, Focaccia which must be eaten fresh and Triora bread which is a mixture of soft wheat and buckwheat. It is baked in large batches, keeps for long periods and is usually served with fermented sheeps ricotta. 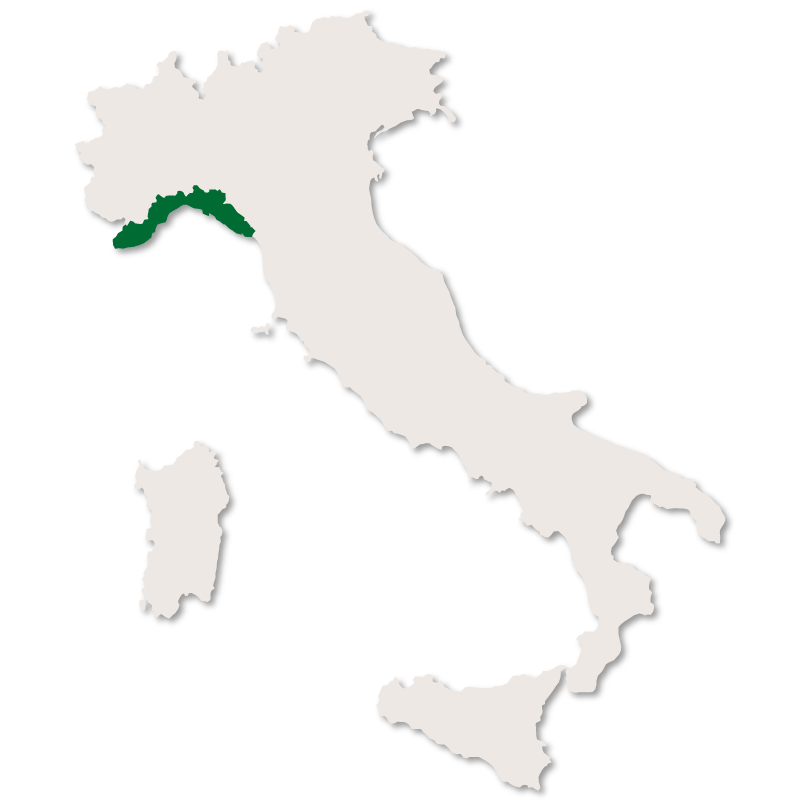 Olive oil is used extensively and is lighter and milder than oil from the rest of Italy. 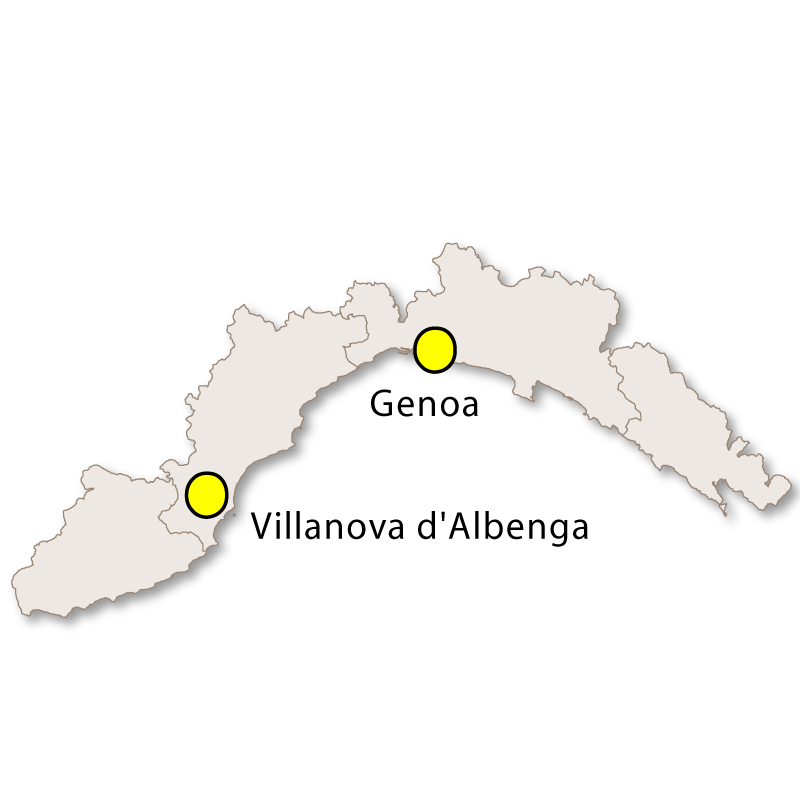 The province of Imperia also has a couple of unique items such as the pink garlic from Vessalico and the distinctive flavoured Val Roja honey. 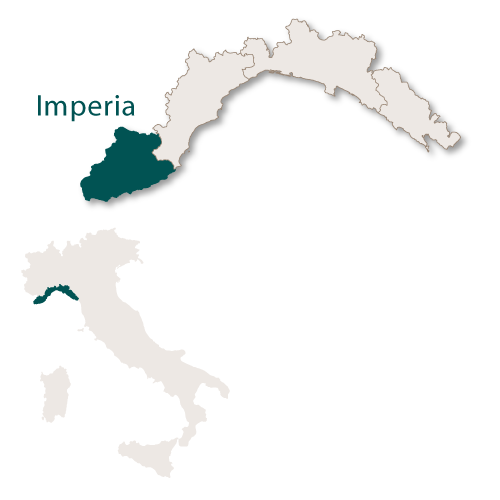 Imperia is the capital city of the province of Imperia, taking its name from the River Impero which runs through it. 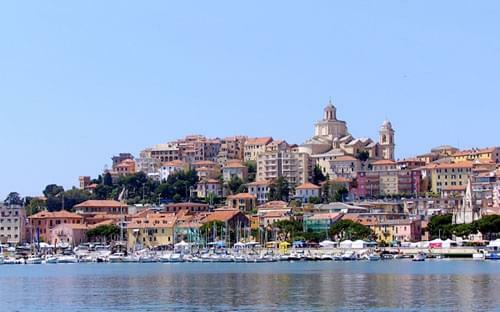 The city has two distinct historical centres, Porto Maurizio on one side of the River Impero and Oneglia on the other. 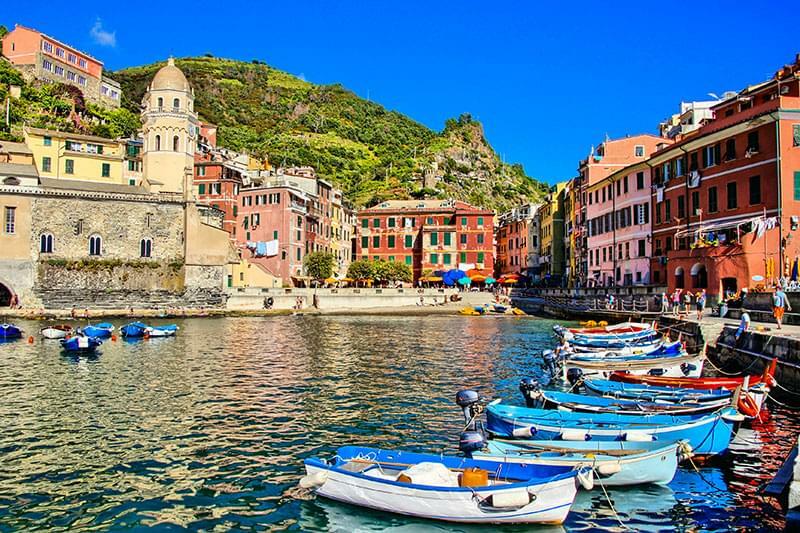 Porto Maurizio is a colourful district stretching along the coast. 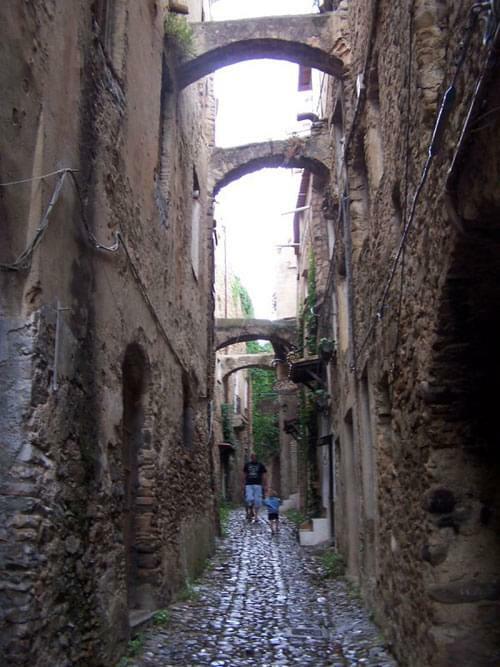 The old centre is called 'Parasio' and has a maze of narrow streets called 'caruggi' running through it. This centre has the Cathedral of San Maurizio, the Convent of Santa Chiara and a small Naval Musuem. Oneglia is not as wealthy nor as pretty as Porto Maurizio but has an interesting Olive Musuem (Museo dell'Olivo), the Church of San Giovanni Battista and 'Villa Grock' which is a magnificent villa where the famous Swiss clown 'Grock' lived in the early 20th century. The city is famous for the cultivation of flowers and olives although the economy nowadays is more reliant on tourism. Although Sanremo is not the capital city of the province of Imperia it is a bigger resort and is livelier and more chic than the actual capital city, Imperia. Nicknamed 'The city of Flowers' due to its commercial production of flowers for the international flower market, San Remo is famous for its casino and the Sanremo Music Festival. The casino was built in 1905 and is an excellent example of Art Nouveau architecture and it is widely accepted that five-card stud was invented here. The Sanremo Music Festival is a popular Italian event taking place in February every year and is televised live for its duration. Sanremo is a lively resort with restaurants and clubs staying open until the early hours which creates a noisy night life. Bussana was abandoned as the result of a twenty second earthquake in 1887. The impact was immediate with many people killed and injured and buildings destroyed. The buildings still standing were declared dangerous so the inhabitants had to leave and Bussana became a ghost town. 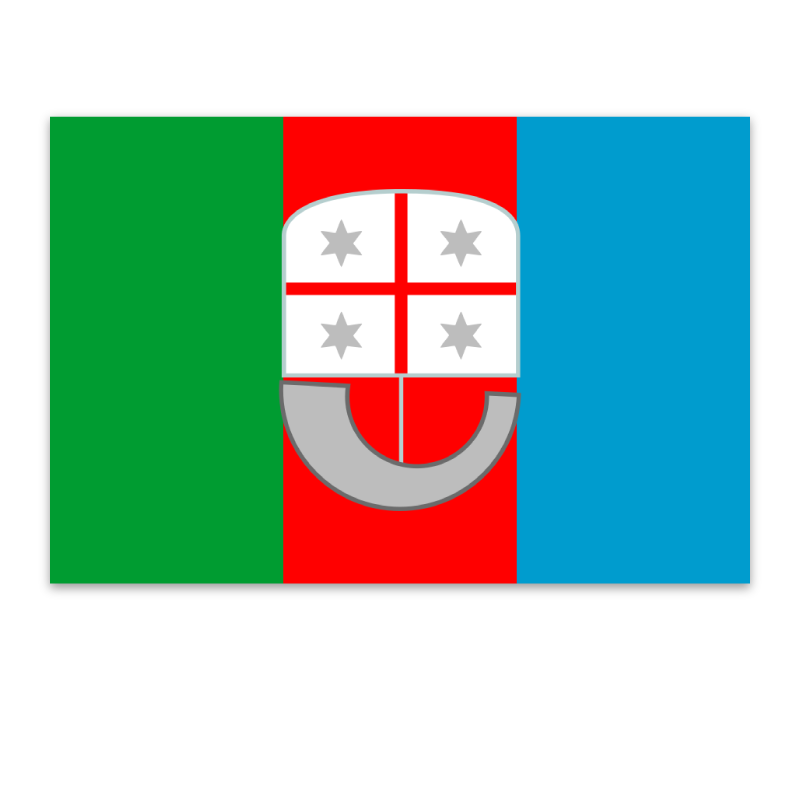 The authorities rebuilt the village on a new site below the destroyed old village and called it Bussana Nuova (new Bussana) and the original village then became Bussana Vecchia (old Bussana). Bussana Vecchia remained a ghost town until 1947 when immigrants from southern Italy began to settle there illegally. Some were evicted and the authorities destroyed all the upper floors and staircases remaining in the dangerous buildings.The small nucleus of inhabitants that managed to remain were gradually joined by artists from all over Europe and inspite of no electricty, water or sanitation a community began to form. An eviction order was passed in 1968 but the occupants barricaded themselves in and refused to leave. The International Artists Village was born and had continued to grow and survive despite the many eviction orders. A pretty, intact, medieval village lying at 900m above sea level with only around 300 inhabitants. 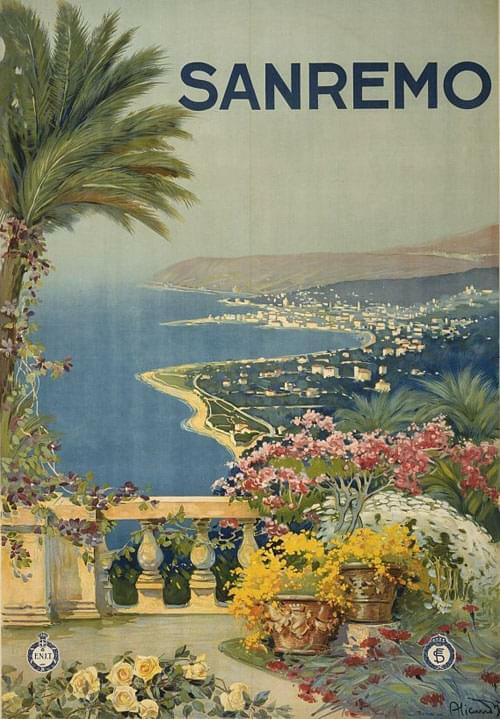 Due to its mild climate, picturesque setting and gentile ambience, Bordighera is a popular winter resort and retirement destination. The palms used by the Vatican for Palm Sunday come from the village of Bordighera. 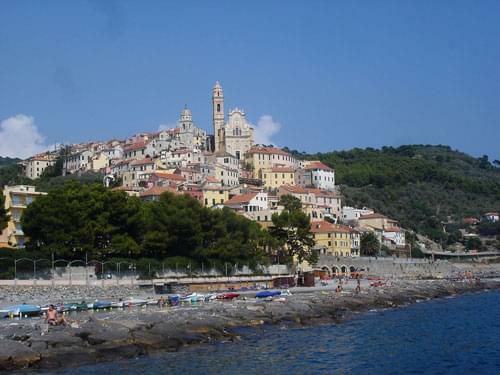 A small ancient hill town with a stunning baroque church 'St John the Baptist' which overlooks the sea. This village was originally built in the 10th century as a fortress to guard against attacks from Saracen pirates. It has some very interesting churches including the Church of San Nicola di Bari, the Church of St. John the Baptist, the Church of Santa Maria degli Angeli and the Church of Santa Maria Assunta. Other buildings of historical interest are the Oratory of San Berardino and the Holy Cross, the Franciscan Covent and the City Hall. Pigna is a tranquil village with a vibrant community and busy tourist trade. Many traditional festivals are held there during the summer months and it has some excellent spas. Triora is a member of the I Borghi Piú Belli d'Italia which is a list of the 100 best medieval villages in Italy. It is the location where the last witch trials in Italy took place during the Renaissance. 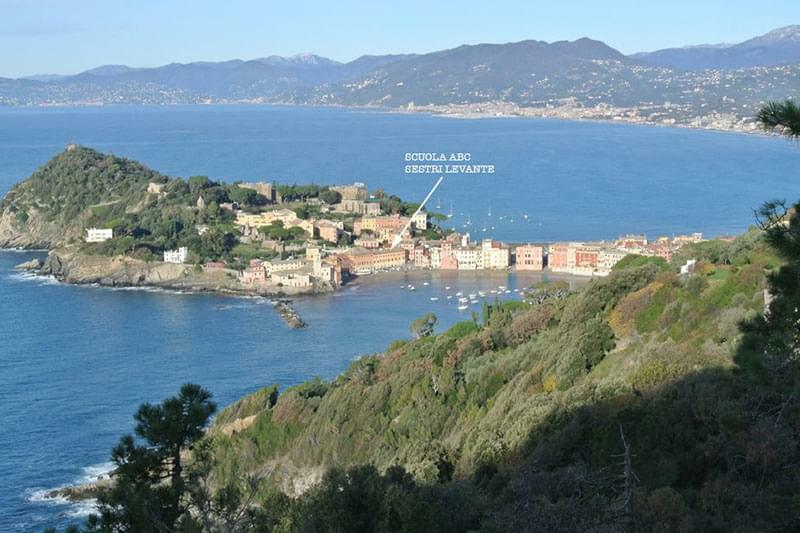 Located on the coast just a few kilometres away from the French border Ventimiglia is a popular summer destination for the French. It has an historically important medieval city centre which is at the highest point overlooking the rest of the town. There is a Romanesque Cathedral, the remains of a Roman theatre and the Hanbury Botanical Gardens.